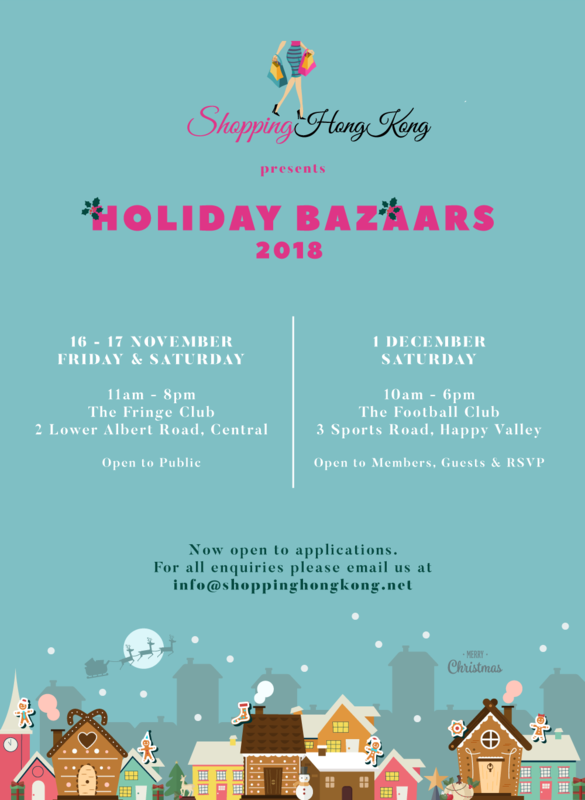 Back by popular demand, ShoppingHongKong presents Holiday Bazaars Season 2018. Get a head start on all of your Christmas Shopping by visiting our fairs. Come and join us for some fabulous shopping on the 16 and 17 of November at the Anita Chan Lai Gallery in the Fringe Club Central and in the Hong Kong Football Club Happy Valley on the Saturday, 1 of December. To RSVP for the Hong Kong Football Club Fair please click here.